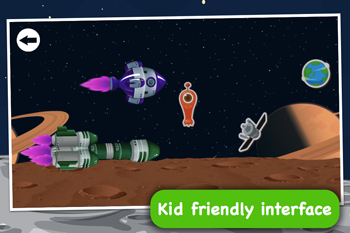 Space Race for Babies: Rockets vs Ufo! 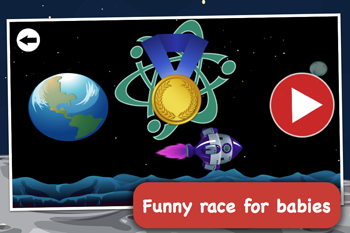 Space Race for Babies: Rockets vs Ufo! Entertain your toddlers with this funny app, perfectly suited for your 1-4 years old babies! 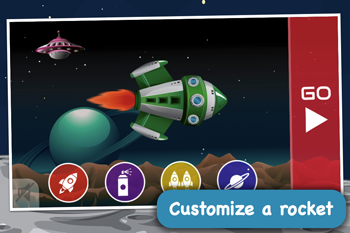 Choose a spaceship or an ufo, paint it and fly in one of the 5 exciting scenarios! During the race random objects will appear, some of them will accelerate you with exciting acrobatics, while the other one will slow you down. Whichever player wins, there will always be applause and a trophy for the winner! 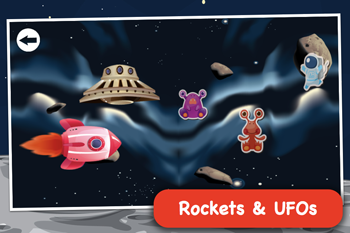 Space Race for Babies: Rockets vs Ufo! 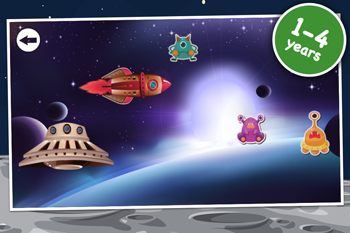 is a secure game for your children and it is free of advertising.